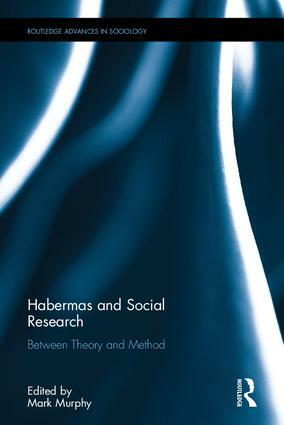 One of the greatest contributors to the field of sociology, Jürgen Habermas has had a wide-ranging and significant impact on understandings of social change and social conflict. He has inspired researchers in a range of disciplines with his multidimensional social theory, however an overview of his theory in applied settings is long overdue. This collection brings together in one convenient volume a set of researchers who place Jürgen Habermas’ key concepts such as colonisation, deliberation and communication at the centre of their research methodologies. Mark Murphy is Reader in Education & Public Policy at the University of Glasgow. He is the editor of "Social Theory and Education Research: Understanding Foucault, Habermas, Bourdieu and Derrida" (Routledge, 2013).